with James Graham with Healthy School Food Collaborative. NEW ORLEANS – Today, Mayor LaToya Cantrell celebrated the kick-off of NORD’s summer recreation season with other officials and area youth at the annual “Splash Day,” held at the Pradat Pool in New Orleans East. “Splash Day is not only a fun opportunity to celebrate the many great programs that NORD has to offer all of our people this summer, but it’s also a chance to celebrate the opening of Pradat Pool for the first full summer season since Hurricane Katrina,” said Mayor Cantrell, who also sits on the NORD Commission. After her remarks, Mayor Cantrell led a group of people in a leap into the pool. The group included Maya Wyche, Interim CEO for NORD, and several NORD campers along with other area youth. Also joining Mayor Cantrell at the event were: Cyndi Nguyen, City Council member, District E; Brian Egana, NORD Commissioner, District E; Theo Sanders, NORD Commissioner, District C; Rebecca Conwell, NORD Foundation Executive Director; Ernest Price, Jr., NORD Foundation Board Member; and NORD partners Rhonda Jackson with Share Our Strength Food Program and James Graham with Healthy School Food Collaborative. While summer officially began this week, NORD opened its summer programming at the beginning of June, which included the reopening of the Pradat Pool. This year, NORD opened and manages 13 outdoor pools and three indoor pools across the city. NORD also oversees 42 youth and 13 teen camps across the city, serving more than 4,800 youth and teens. The successful operation of NORD summer camps would not be possible without cooperative partnerships with schools, non-profits and faith-based organizations across the City of New Orleans. and Summer camps' celebratory, culminating event in City Park.NORD’s summer programming and events are generously sponsored by a host of corporate partners through the NORD Foundation. And a host of others.NORD receives a $1.18 million federal Community Development Block Grant (CDBG) funding allocation from the City of New Orleans Office of Community Development for the operation of summer youth and teen career camps. NORD’s free summer meals program is funded and provided through Sodexo and Share Our Strength, which provide more than 200,000 free meals to youth and teens over the course of the summer programming session. 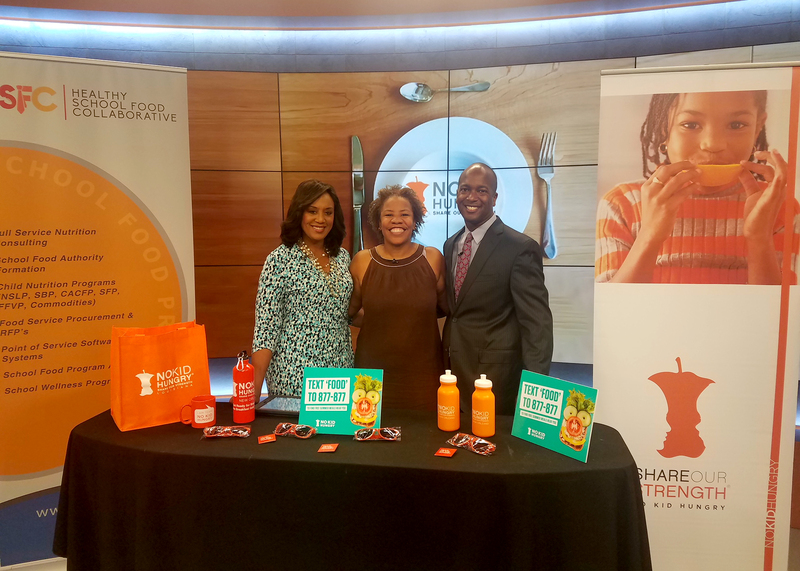 James Graham from Healthy School Food Collaborative appearing on the morning show to speak about why he sponsors and supports the "No Kids Hungry" program and why it so important.